The die was cast at the AGL annual general meeting. Liddell will be closed and not sold. Vesey’s outline of AGL’s line of thinking was centred around the 250MW of battery storage and 100MW of “demand response” – including tapping into the household batteries of consumers – which he said could provide 150MW of “firm capacity”. “We will deploy both grid-scale batteries, as well as residential batteries combined with orchestration technology to enable customers to participate in and benefit financially from demand response,” he said. 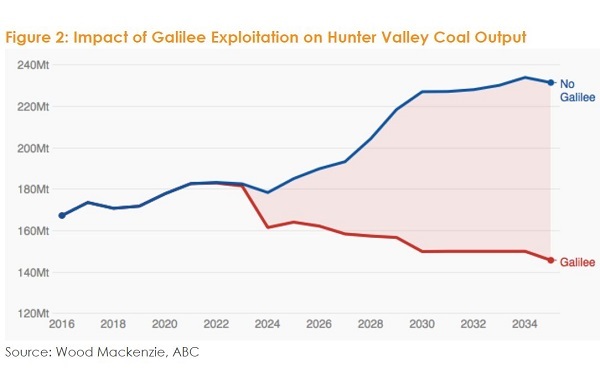 An upgrade of the neighbouring Bayswater coal generator due to close in 2035 would add 100MW, as well as new gas capacity of 750MW alone would almost meet the 1,000MW of reserve capacity shortfall identified by AEMO to be required in 2022. And that’s only part of their investment portfolio. it’s a tragic indictment of the state of Australia’s energy policy. It finds itself in an appalling state of stupid, driven there by a triumph of incompetence and ideology over economics and engineering, and of folksy nostalgia over modern technology. One year on from the state-wide blackout in South Australia that sparked the Coalition’s extraordinary jihad against wind and solar, it is clear that the answer to the trumped up energy crisis is exactly what the Coalition doesn’t want it to be: yet more wind and solar. The Queensland Liberal-National party (LNP) are promising that if they are elected to government they’ll build a new coal power station in northern Queensland. And just this week the prime minister, Malcolm Turnbull, announced that if Queenslanders elected the LNP at the next state election, all Australian taxpayers would help fund it. Estimated cost is $2.5 billion, which tax payers would have to fund, because banks are not interested. Edis did some basic maths. Queensland’s overall electricity demand over the year averages out at less than 6,000MW and is unlikely to grow much. Meanwhile it has 8,186MW of coal power plant capacity, plus another 3,297MW of gas. Over the past four years Queensland’s biggest coal power station at Gladstone has been operating at less than half its capacity. Several other Queensland coal power stations are running at about two-thirds of their capacity. It’s about votes, not power. 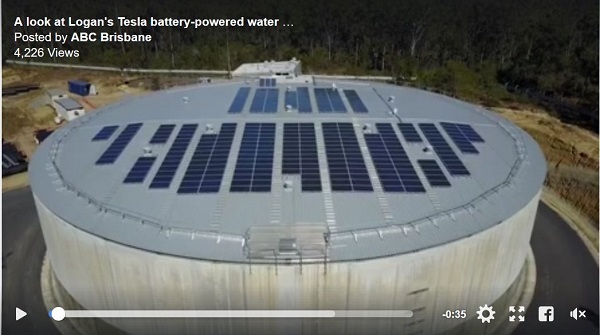 Meanwhile at Logan, just south of Brisbane a new water reservoir at Round Mountain will be powered by solar and a large Tesla battery. It will operate entirely off-grid. Brisbane Airport have embarked on a $11 million expenditure program to install a massive 6MW of solar panels on six sites. I believe it totals twice the area of the MCG. Ultimately capacity will be 10MW with batteries. The expenditure will save $1 million pa in electricity charges at current rates. A fleet of 11 BYD 70 passenger electric buses, is set to run an inter-terminal shuttle service starting early 2018. Largely that was because of a mismatch of supply and demand in China in the manufacture of solar panels. The US Department of Energy’s National Renewable Energy Laboratories (NREL) estimates the levelized costs of electricity at $50-66 per megawatt-hour (MWh) for fixed tilt systems and $44-$61/MWh for tracking systems, excluding the effect of the U.S. federal Investment Tax Credit (ITC). it is not coincidence that there is currently a case before the U.S. government on potential trade protection for U.S. solar cell and module makers. ANU engineering professor Andrew Blakers has found at least 22,000 suitable pumped hydro locations nationwide. Pumped hydro is highly dispatchable taking about one minute to ramp up to full power. He says that we could decarbonise electricity, land transport, heating and cooling to yield 75 per cent cuts in Australia’s greenhouse gas emissions. Pumped hydro is also widespread in Europe, especially in the alpine parts of Italy, Germany and France, and in Scandinavian countries like Norway. It is also widely used in Japan and the United States. Time to get on with it here. 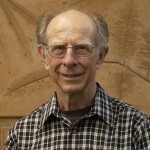 Ken Baldwin at ANU has done the numbers. It’s a detailed article, but the bottom line? By the time renewables dominate electricity supply in Australia, it’s highly likely that a price on carbon will have been introduced. A conservative carbon price of at least A$20 per tonne would put coal in the A$100-plus bracket for a megawatt-hour of electricity. A completely renewable electricity system, at A$75-80 per MWh, would then be more affordable than coal economically, and more desirable environmentally. The construction boom in large-scale solar farms and wind projects in Australia appears to have hit a significant road hump, with new rules imposed by the Australian Energy Market Operator causing delays, and in some cases adding costs and technology reviews, for project developers. The issue is causing controversy because the rules changes have not yet been endorsed by the market rule-maker, but AEMO is insisting they be respected because of the sheer number and scale of the projects under construction, and because of their anticipated life-span and their role on the grid. The changes are part of a suite of actions proposed by AEMO in response to last September’s “System Black” in South Australia. But the biggest impact for solar and wind farms appears to be around the refined definition and requirement for “continuous uninterrupted” power. This standard – known as S5.2.5.4 – is being reinforced so as to require wind and solar farms to maintain the same level of output in the face of any big changes in frequency and voltage. No exceptions. These changes are accepted by the industry as a good thing and are not too expensive when planned at the outset. However, AEMO is insisting that they be introduced to projects already under construction. About 20 projects are caught up in this way. The standards applied are greater than those applying to existing coal generators. Some are querying AEMO’s legal position because the rules have not yet been approved by the Australian Energy Commission, so we’ll see how it all works out. On Monday night Oct 2nd Four Corners is going hard at Adani. I have been busy recently researching Adani and asking what sort of corporate citizen they might make. It has been very easy to conclude that Adani is seriously tainted – the allegations made are totally defensible. Adani will not be a good citizen. 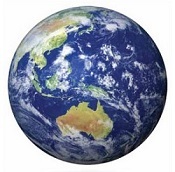 A hint – of 26 subsidiaries in Australia, 13 are sheeted back to the Cayman Islands. Adani Australian revenue 2014/15 was $350 million, but no tax paid. What chance of getting $1.3 billion back? The OECD lists guidelines for multinationals – whilst my research is incomplete, it seems that Adani has likely breached them all. I would encourage all to tune in. I was talking with the owner of the factory behind me who announced that after selling the end unit in block of units (200 sq m) those funds are going into a new factory that they are building in Erskine Park which would, I think he said, be 8000 sq m. Part of the appeal of that industrial area was mains gas supply. The interesting part was that they have costed in, as part of the building, 400 kilowatts of solar panels, enough to run the whole factory. I asked if he had considered any heat collection in that, no. I pointed out, knowing that they do an increasing amount of powder coating, that there is off the shelf technology (from Germany) to produce 200 to 300 C hot oil for thermal processes, and that oil can be stored effectively storing the heat. That was very interesting and we parted on that note. This was someone who had voted for Abbott (tribal I think) but clearly not Abbott’s policies. This company was bitter about the LNP awarding of the NSW train contract to Hyundai Heavy Industries, a decision that will seem quite foolish if South Korea is attacked by its neighbour. Thanks Geoff, will set it to record. Jumpy I reckon you might have something to say about Adani – I look forward to hearing your take. Would query AGL wanting to install 750 MW of gas capacity at a time when we are struggling to supply Australia’s needs. I guess it depends whether we are talking rarely used peaking power or something that will run for a substantial part of the year. John, this article at RenewEconomy shows an AGL graphic with 1600MW of new renewables capacity to replace Liddell. The two wind farms are already being built, and another 3,000MW of wind and solar could be built over the coming four or five years. Plus they are involved in linking homes etc to provide a “virtual” power station, behind-the-metre schemes and demand response, plus a battery more than twice the size of the one in Adelaide. Moreover, they have plans to import their own gas if the local stuff is too expensive. I think they’ll use the gas within the whole context, which is likely to be reserve and smoothing. I think Turnbull should congratulate them for their foresight. Some Australian Federal Members of Parliament, like Matt Canavan, have proposed that the Northern Australia Infrastructure Facility (NAIF) should be used as a vehicle to assist in financing new coal-related projects in northern Queensland, like the Adani Carmichael Mine rail project. There are now 115 submissions publicly available to view, with most of these highly critical of the NAIF. I think the IEEFA (#085) and Ian Dunlop (#110) submissions present compelling arguments. A public hearing was held in Canberra on 11 August 2017. More public hearings are likely to follow. Evidence I see indicates our energy security situation is far worse than the mainstream media apparently presents. Is there anyone willing to challenge the evidence I present in my correspondence to the NAIF inquiry? And are our governments competent to deal with these highlighted looming energy security challenges? There’s a lot of good information there, Geoff Miell. A shame that Ian Dunlop’s submission was in an internet unfriendly format, as it documents the existential threat of climate change. The Adani coal would displace a similar volume of coal from the Hunter Region. I think the point made was that NAIF should not make decisions that harm the rest of the country. It’s bad enough that Hunter coal exports are ramping up. My impression is that the senate committees produce masses of good information which the government then tries to ignore.